Discussion in 'Mapping Questions & Discussion' started by Spacek531, Jun 28, 2012. 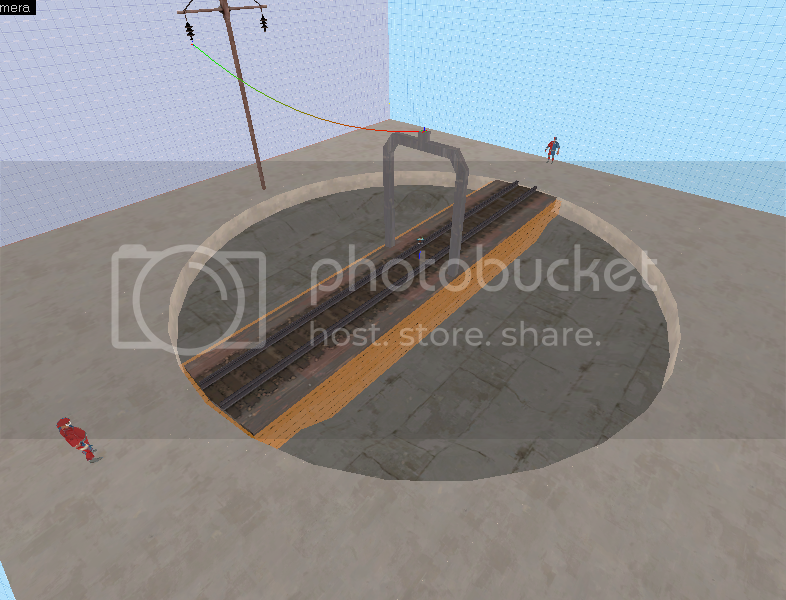 The main part of the turntable is a func_rotating while the rest are func_brush (or trigger_hurt to get rid of buildings). The problem is, it won't render correctly, instead of visually turning, it just sits there until you actually walk on it while it's turning. My question is, how do I get it to render turning correctly? As far as I'm aware, func_rotating does not work in TF2. You have to use func_rotating_door I believe. Try parenting a func_nobuild to the turntable instead of the trigger_hurt. I ended up removing the func_hurt and placed a large func_nobuild over the entire pit. The func_hurt was because I eventually planned to have the turntable start rotating when blue was capping, but I have yet to re-implement that if I decide to at all.